Before diving into the Burn and Mint equilibrium (BME) itself, let’s take a look at what equilibrium actually stands for. For the sake of simplicity, we are going to take into account a simple product such as paperclips. The world out there is filled with individuals and companies requiring these pieces of metal to keep their piles of paper together. On the other hand, our imaginary company selling paperclips is just one of many similar businesses that do their best to sell their product. All of us together create a paperclip market where we trade with each other. Those who need paperclips create demand, while those who sell it create supply. Whenever demand and supply are equal at any given point in time, we could claim that the market equilibrium is met. The rules that govern one such market are best described in this Paperclips Simulator Game. Could you try and reach a market equilibrium? In the crypto world, burning assets (coins or tokens) means eliminating them by sending them to an ‘eater address,’ which is not accessible by anyone, since no one owns the private keys to that address. In other words, whenever assets are ‘burned,’ they do not literally go up in smoke. Instead, they are just quarantined, never to be accessed again by anybody. Every transaction that is conducted on blockchain is public; therefore, these coins are effectively taken out of the total supply, and that can be verified by anyone at any point in time. Why Would Anyone Burn Crypto Assets? What Would That Look Like in the Real World? Imagine going to the shop to buy paperclips, but instead of handing the money to the shopper, you decide to destroy (burn) the agreed amount as public evidence that you received what you asked for. But as you set your paper money ablaze, you know that a new amount of money is produced (minted) every once in a while. Moreover, the money is being transparently and fairly distributed to everyone responsible for production, distribution, sales, and all other operations that contributed to you receiving the paperclips. That is exactly what happens in the crypto world as minting functions periodically create a number of assets. 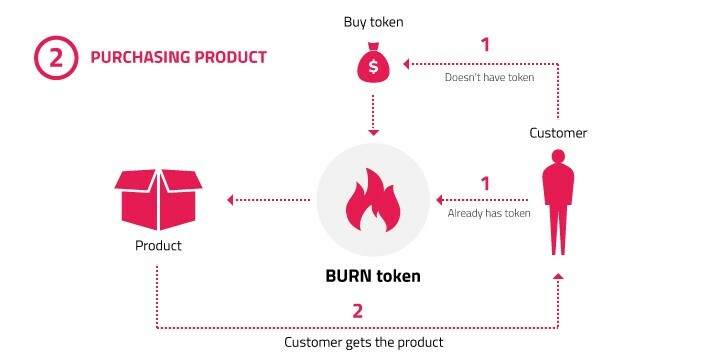 The number of created tokens can vary, and it is not related to burning functions in any way. The newly minted assets are distributed to everyone who participated in delivering customer experience (which is the reason for burning assets). If minted assets outnumber the burned ones, their total supply will increase, resulting in their price to go down. On the other hand, if more assets are burned than minted, an increase in demand will occur since the supply of assets will drop. Following the same principle, the asset price will go up. Factom was the pioneer of BME. The cost of using the protocol is set at $0.001, regardless of the FCT price. Factom tokens are burned by users for using the service. At the same time, the protocol mints 73,000 new tokens each month and distributes them to validators. How can this system be stable with infinite inflation? 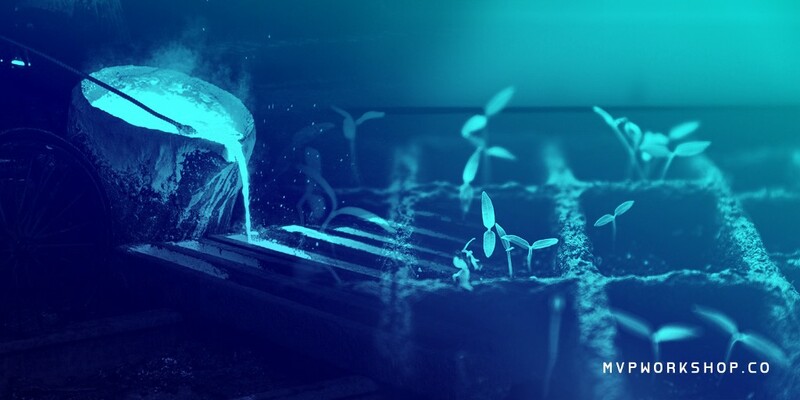 Scriptarnica, a decentralized platform for reading, writing, publishing, selling and buying e-books, is another blockchain-based project that implements the BME model. The price of books is defined in CHR tokens, which is tied to USD, keeping the product price constant. CHR tokens are not transferable. In fact, users get CHR tokens by burning SCRPT tokens, while minted SCRPT tokens are being distributed to all service providers such as writers (and/or publishers), reviewers, proofreaders, cover designers, translators, marketers, and book (storage) holders. Writers are in control of the publishing process and decide on whose help is needed. Pros and Cons of BME — What Does It Bring to the System? BME can be a suitable model if the service is not a pure commodity. The service providers are contributing to the customer experience in many different aspects (such as business development, partnership development, marketing, content, UX, etc.) and each contributor is being awarded fairly and transparently with a deserved amount of minted assets. All of them have clear incentives to deliver a high-quality service, and if the service doesn’t meet expectations, other participants can be protected with a smart contract. The model can be essential for tokenizing existing businesses. Historical data can serve as a suitable benchmark for the mint function. It puts creators in control of their product or service. They control their pricing and go-to-market strategy. The BME does not encourage HODLing crypto assets. That is to say, if everyone HODLs assets and there is no consumption (burning), the value of these assets drops. Therefore, the BME model is regarded as a potential solution to the velocity problem of utility tokens. The concentration of wealth in an ecosystem can be quantified by using the Gini index. Higher Gini index usually indicates that there is an increased risk for the system to be controlled by a small group of people. When a product or a service is in its early development phase, with no developed market or demand, arbitrageurs can take advantage of the fact that new assets are being minted, thus creating a negative impact on the price volatility. Assets distribution — In order to utilize the entire BME model and set proper incentives, millions of people need to have assets. Implementing this model in ERC20 tokens is difficult. There isn’t a default, generic, predefined number of network participants who should receive minted coins as a result of the burn process. In addition to that, smart contracts must be triggered in order to mint new assets. The Burn and Mint equilibrium model requires both supply and demand in order to work. That fact burdens decision-makers in new businesses but paves the way for the existing players to tokenize their operations. In other words, once a stable user base and community are formed, putting assets into the right hands becomes a piece of cake. At that stage, the BME model comes in to save the day by providing an effective system for incentivizing people to do their best and make all contributors happy. If you find this article interesting and valuable you should visit our website to learn more about us and our services. Follow us and subscribe for more posts such as this one, and feel free to join the conversation on Twitter and LinkedIn. For free business consultation about how blockchain can impact and change your enterprise business, or anything else related to the technology — get in touch. 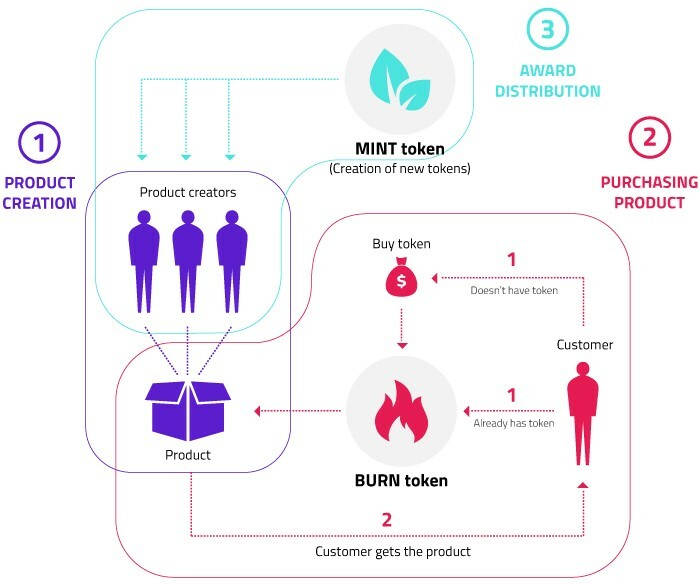 Burn and Mint equilibrium Pro’s and Con’s was originally published in MVP Workshop on Medium, where people are continuing the conversation by highlighting and responding to this story.